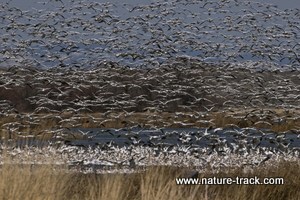 Scenes of abundant wildlife like these snow geese on Market Lake Wildlife Management Area, are not a matter of chance. Wildlife Management Areas are carefully selected for their habitat values. I watched until dark as tens of thousands of ducks, geese and trumpeter swans ravaged a cornfield. It was magical to see the ground swarming in a dizzy mass of wildlife. Without warning, huge masses would take wing in a breathtaking blur, circle against the coral-colored sky and settle back down. Had this been a privately owned field, I would have felt dread, not awe. But this wasn't a private field, it was Deer Parks Management Area, and the waterfowl were welcome to feed on corn grown specifically for them. Like a necklace of precious stones, Idaho's wildlife management areas form a graceful arc from Boundary County to Fremont County. There are 32 state-owned management areas. They represent about one half of one percent of Idaho's 53.5 million acres, but they are critical to wildlife and to hunters and other wildlife enthusiasts. Wildlife management areas aren't haphazardly selected. A joint study between the University of Idaho and The Nature Conservancy revealed that this complex of properties provide at least some habitat for 97 percent of the biodiversity of plant and animal life in Idaho. They are places where wildlife is welcome, not just tolerated as a necessary evil, and they are strategically located to maximize habitat. Wildlife management areas play integral roles on regional, national and international scales. Besides providing habitat for locally produced wildlife, places like Market Lake, Deer Parks, Sand Creek, Boundary Creek and Hagerman provide essential habitat for migratory birds. They are stepping stones that the birds must have in order to complete their migration that may begin in Canada and end in Mexico. They are also important to big game. Big game winter range is the spout of a funnel. As winter approaches, animals pour in from a huge landscape, concentrating on very small pieces of real estate where temperatures and snow depth are more favorable for survival. Wildlife management areas such as Boise River, Craig Mountain, Andrus and Tex Creek, provide winter range for tens of thousands of big game animals. Winter range provided by wildlife management areas is an increasingly valuable commodity as development and competing land uses continue to squeeze bighorn sheep, deer, elk, moose and pronghorn antelope out of other areas. Some wildlife management areas dedicated to providing winter range may not produce a lot of big game animals, but without the winter range they provide, there would be far fewer animals in vastly larger landscape. 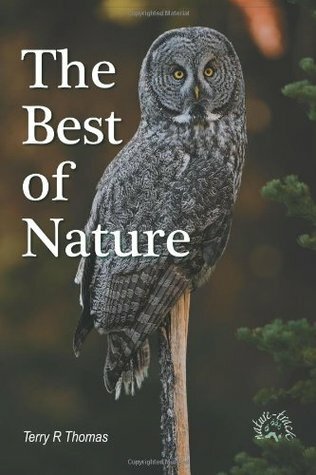 · They are managed by Idaho Department of Fish and Game specifically for wildlife. National Wildlife Refuges such as Deer Flat, Kootenai, Bear Lake, Minidoka and Camas are managed by the United States Fish and Wildlife Service. · Idaho Department of Fish and Game pays fees to the counties in lieu of property taxes on all its properties. · No state general fund money is used to pay for the management areas. Funding comes from hunting licenses, excise taxes on firearms and mitigation from federal projects, such as Palisades Reservoir. · Most are woefully underfunded. Wildlife management areas support the wildlife of the state of Idaho and are also essential for providing the quality of life Idahoans expect. These gems are hardworking pieces of real estate.